As a guest of our Design Hotel Berlin you will live directly at the most impressive boulevard of Europe – in the middle of the city. But at the same time you won’t hear anything of it. 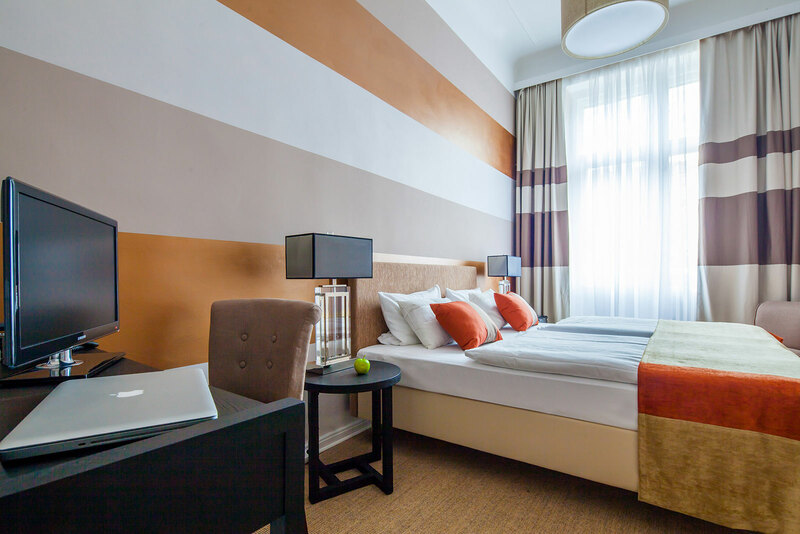 In our guestrooms you will check out the german capital from its charming and modern side. 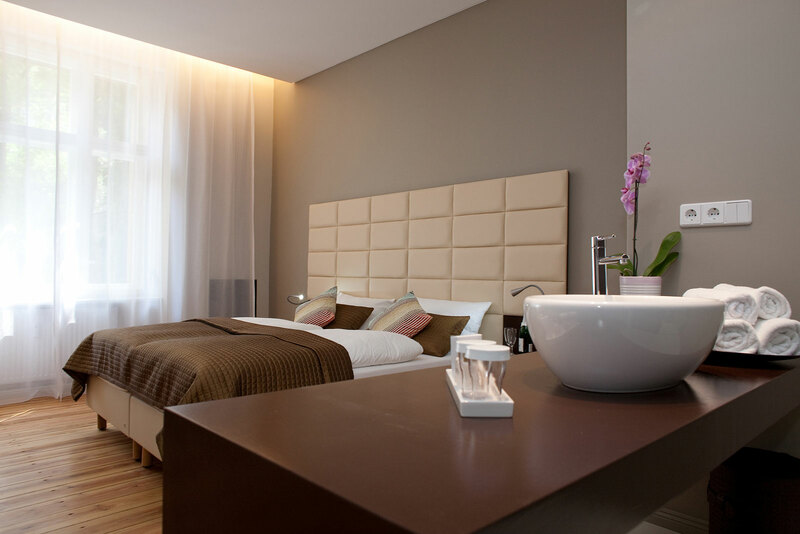 Pure relaxation you deserve are sure at Hotel Elba. You will feel like home immediately – as a backpacker, together with your partner or the whole family – our huge rooms with its high-class interior will make sure you feel comfortable. An “island of peace and relaxation” in a vibrant, historical and cosmopolitan city. 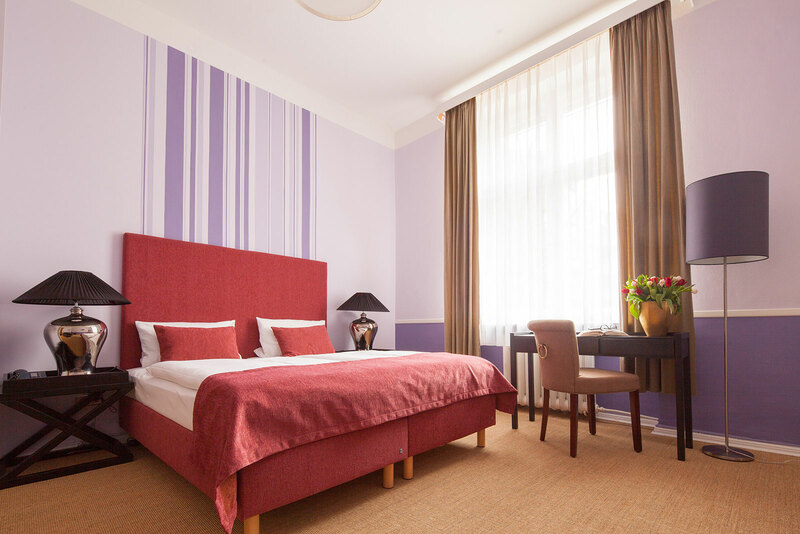 We offer generously sized, traditional Berlin rooms with modern furnishings at a fair price. Our hotel Elba provides excellent service and comfort. Enjoy the quietness in one of our hotel rooms facing the courtyard. Our rich breakfast buffet is served in the morning in a cozy and comfortable atmosphere. In the summer, the breakfast is served in the garden. In the meanwhile our younger guests can play in the sandbox. Whether you are travelling for pleasure or business, we would be delighted to welcome you as our guest. Hotel Elba is owner-operated – that’s very important to me, because I put my heart and soul into my business. This addiction can be felt in any corner of the house. The selected and rich breakfast in our cosy arranged breakfast room, the elegant interior and the idyllic terrace – all of these little details show my attention and care to detail. Short nights and long days? Our double bed are perfect for you! Spend great nights together in the capital? We offer you the best accommodation! 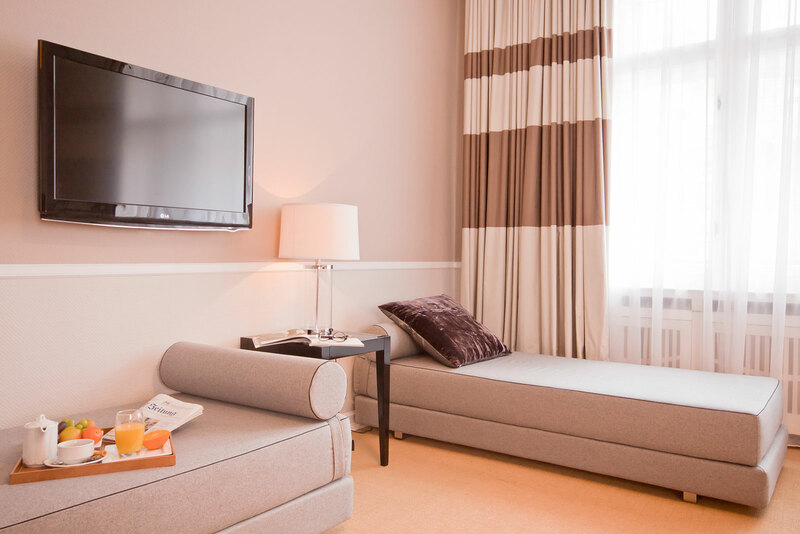 Our perfect arrangements in our huge triple bedrooms let you have a royal stay! Spending time with friends or the whole family in Berlin? Check in! Unser Hotel am Kurfürstendamm steht für ein angenehmes Wohlfühlambiente. Das findet sich in der sehr detailreichen Ausstattung wieder, die mit jeder Menge Liebe zum Detail erschaffen und arrangiert wurde. Wir als Familienbetrieb freuen uns insbesondere, Familien mit Kindern bei uns begrüßen zu dürfen. Unser freundliches Team kümmert sich gerne um jegliche Belange und fungiert gleichzeitig auch als Informationsquelle rund um Fragen zu Berlin. Diese Nähe zu den Gästen und die Herzlichkeit ist dem Personal und den Inhabern besonders wichtig, denn große Hotelburgen und eine Art Massenabfertigung im Tourismus ist hier mit Sicherheit nicht zu finden.